Guess who's finally a Hadassah lady??? It seems only fitting that Poppyseed and I received our Hadassah welcome packets on the first day of Adar for I have always associated the month with this American Jewish women’s volunteer organization, founded by Henrietta Szold in 1912. 7 And he brought up Hadassah, that is, Esther, his uncle’s daughter; for she had neither father nor mother, and the maiden was of beautiful form and fair to look on; and when her father and mother were dead, Mordecai took her for his own daughter. Even before I understood the particular missions of each of these women’s organizations, I knew that they had a place in our larger American Jewish story. And now, thanks to BubbeGiraffe, Poppyseed and I are life members of this worthwhile organization. I don’t want any ORT ladies on my case: I also annually include ORT at this point of the Megillah reading! Welcome aboard! It is a sisterhood like none other–caring supportive women whose mission is to fund our project s in Israel plus develop Jewish identity in American kids and members alike. 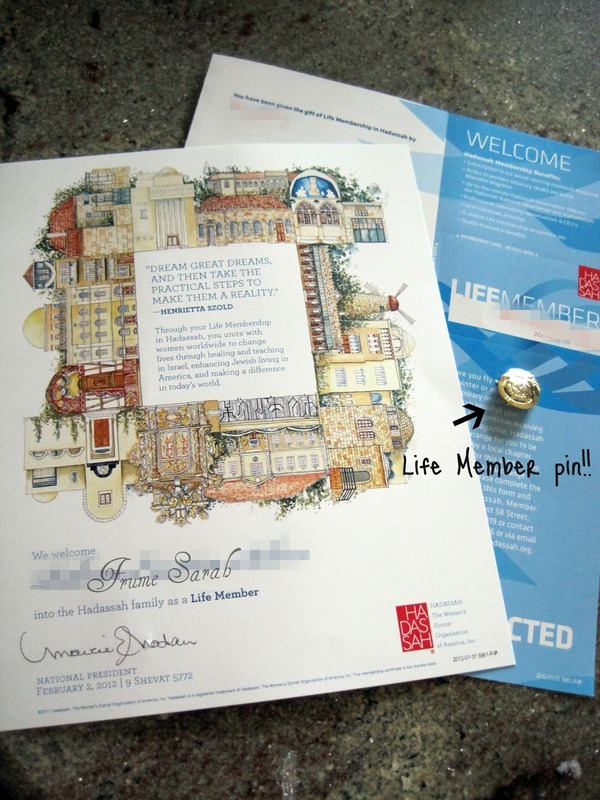 Mazel tov – they are lucky to count you as a member!! !